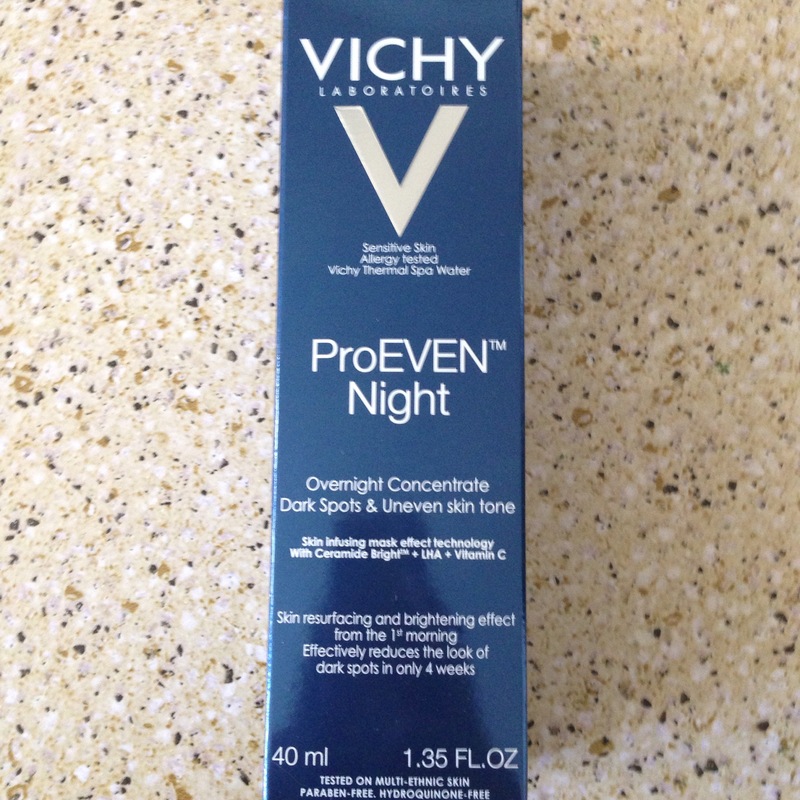 Through the website ChickAdvisor I was sent Vichy’s ProEven night – which was actually sent in error, was supposed to be a different product – but man oh man am I happy they sent this one. I am going to be 33 in a few weeks (YIKES) and as my skin gets older it has started to get uneven and less forgiving. If you are reading this and are in your teens or 20s – start loving your skin now –your future self will thank you! Skin with uneven skin tone, hyperpigmentation or dark spots caused by premature aging, sun damage or acne scars. Unique resurfacing technology with the highest concentration of LHA (3x more than the day formula), Ceramide Bright™ and Vitamin C. It infuses into all layers of the skin at night to act during the cells’ natural skin regeneration process for a resurfacing action all night long. Ultra-fresh hydrating gel texture with skin infusing technology. It can be applied as a nightly treatment or as a weekly mask. Holy crap this is a great product! My final thoughts? Worth picking up and checking out if you need a little boost to your skin. If you are younger or in need of something much more intense then I would look for another product. 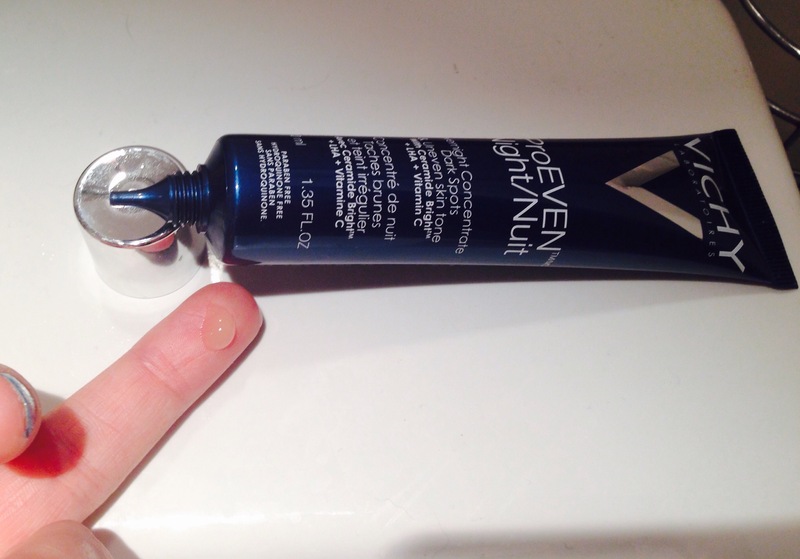 But for the majority of us 30-40 something’s I think this is a great item to have in your skincare routine! 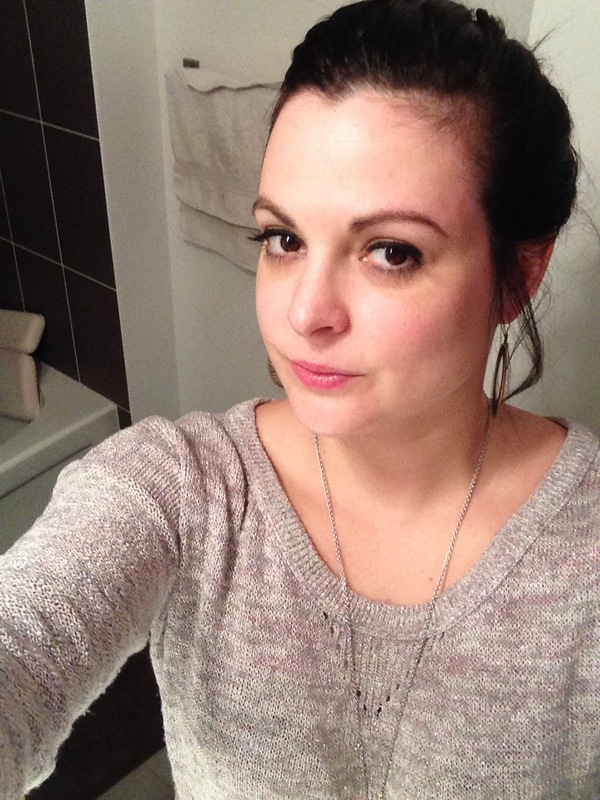 This entry was posted in Beauty and tagged face, lotion, mask, night, Skin, skincare, Vich by maldham. Bookmark the permalink. girl I have to agree. And Vichy really does have something for everyone. That sounds really interesting! I have these dark spots on my face but nothing seems to work! I find lots of products say dark spots and mean “pimple scars” whereas mine are more like birth marks. Will keep an eye out for this product!